With these high-voltage converters it is possible to supply electronical equipment out of 600V / 750V contact wire. 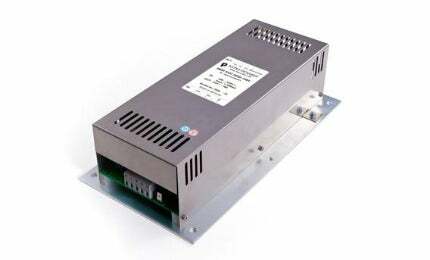 The DC/DC converters are used for supplying points, signal lamps and electronic monitoring of the rail net. The specific feature of the series HVC is its use as a self-starting module for trams or trolley buses with exhaustive discharged batteries so that the towing process can be avoided. The rugged design together with high-quality components guarantee the high reliability in vehicles even under severe shock and vibration conditions. The high efficiency of 88% and the dimensions of 330mm x 170mm x 87mm allow an operation without forced ventilation. Moreover the converters work within an ambient temperature range from -40°C to +85°C acc. to EN 50 155.